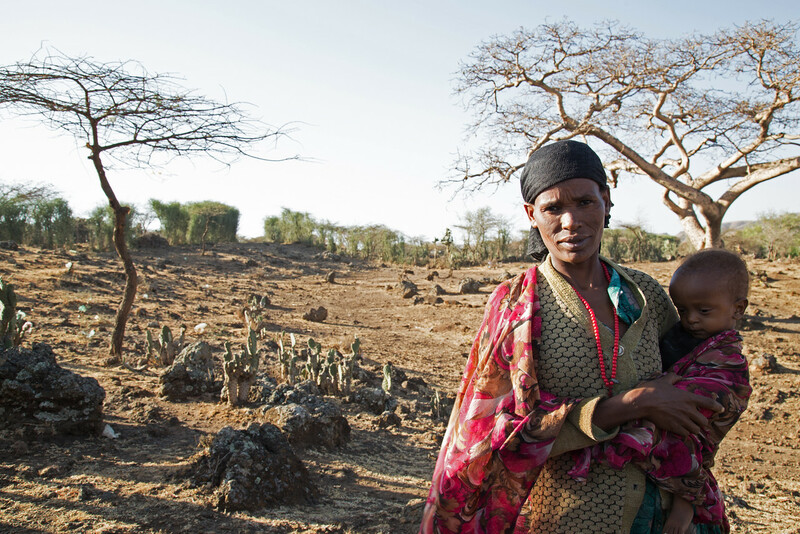 Climate event has affected 60 million people; impacts set to increase at least until end of 2016. The UN has called for a stronger response by governments, aid organizations and the private sector to address the devastating impact the El Niño climate event is having on the food security, livelihoods, nutrition and health of some 60 million people around the world. The appeal came at a meeting organized in Rome by four UN agencies, the Food and Agriculture Organization of the United Nations, the International Fund for Agricultural Development (IFAD), the Office for Coordination of Humanitarian Affairs (OCHA) and the World Food Programme (WFP). Participants, including representatives from governments, non-governmental organizations and other UN agencies, took stock of the growing impacts of the current El Niño, which is considered as one of the strongest in history. They noted that more than $2.4 billion is needed for current El Niño emergency and recovery-responses and currently there is a $1.5 billion gap in funding. El Niño-related impacts have been felt across the globe since mid-2015. This includes severe or record droughts in Central America, the Pacific region, East Timor, Vietnam, Ethiopia, and in Southern Africa. In addition, floods have affected parts of Somalia and Tanzania, devastating forest fires have resurfaced in Indonesia while some regions have witnessed storms, as in the case of Fiji with Tropical Cyclone Winston. These disasters have cumulatively resulted in a wide range of consequences, most importantly, severe increases in hunger, malnutrition, water- and vector-borne diseases and the prevalence of animal and plant pests and diseases. Increasingly, populations are on the move: families across the globe are being forced into distress migration, both within and across borders, as their sources of livelihood disappear. The meeting underscored the fact that although the 2015-2016 El Niño has peaked, it will continue to influence temperature and rainfall patterns causing extreme events in different parts of the world posing continuing risks to health, water supply and food security, while the numbers of those threatened by hunger as a result are expected to grow. These effects could last for long after the El Nino phenomenon has subsided. Long-term impacts include higher malnutrition rates - some 1 million children are currently in need of treatment for severe malnutrition in Eastern and Southern Africa - and an increase in poverty, rendering vulnerable households less resilient to future shocks, and stalling countries' progress in achieving the Sustainable Development Goals. People relying on livestock for their livelihoods are particularly vulnerable given the long time frame required to rebuild herd numbers decimated by drought. Sparse or absent rains also result in a loss of soil productivity and greater land degradation, factors that contribute to desertification. The meeting ended with a series of commitments by FAO, IFAD, OCHA and WFP aimed at urgently scaling up responses to the current El Niño crisis while also ensuring a more effective response to similar events in the future. These agencies committed to working closely with resource partners to help address the funding gap, including prioritizing geographical areas requiring urgent attention. They also pledged to work with governments, aid organizations, other development partners, as well as the private sector, to assist worst hit populations, including scaling up of existing social protection schemes. They also agreed on the need to better build the capacity of national governments to mitigate and respond to future El Niño and other climate-related events, as well as work with development partners to ensure that disaster risk reduction projects are stepped up in the most vulnerable areas. This article was published by FAO.